Reliability is not a word you would normally associate with keyword phrase rankings on search engines. On any given day, they seem to vary from city to city and computer to computer. It would be easy to shrug our shoulders and dismiss them as annoying gremlins that mysteriously move from one spot to the next. But the reality is that rankings are based on sophisticated — and often proprietary technologies — and will therefore vary among the search engine results pages (SERPs) of different search tools. Geography (influenced by IP addresses) and personalization (including anonymous cookies that track browsing history) will also continue to make an impact. Take heart: If the success of your content marketing strategy is in any way dependent on your search engine optimization (SEO) and search engine rankings, there are plenty of tools and tactics available that might merit your time and effort to explore. This software product is my main source for keyword rankings. 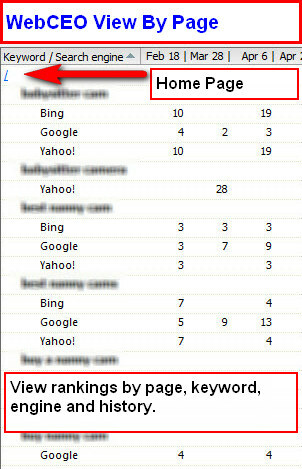 With WebCEO, I can quickly see rankings for the main search engines and look at the data from different angles, including history over months and how many keywords are ranking for the same page (the home page often supports the most keywords). Incidentally, if other products I use show significantly different results, I will often manually adjust the rankings here before delivering reports on a content marketing strategy’s SEO success. It’s easy to add keywords to a campaign and get a sense of rankings over time. SEOmoz offers automated reports, which can be very helpful when analyzing whether your content marketing strategy is moving in the right direction, from an SEO perspective. I turn to SheerSEO all of the time while testing out potential keywords to pursue as part of a company’s marketing strategy. Plus, I can look at the historical performance of that keyword, to see if it is likely to remain valuable, or if its current popularity is an anomaly. 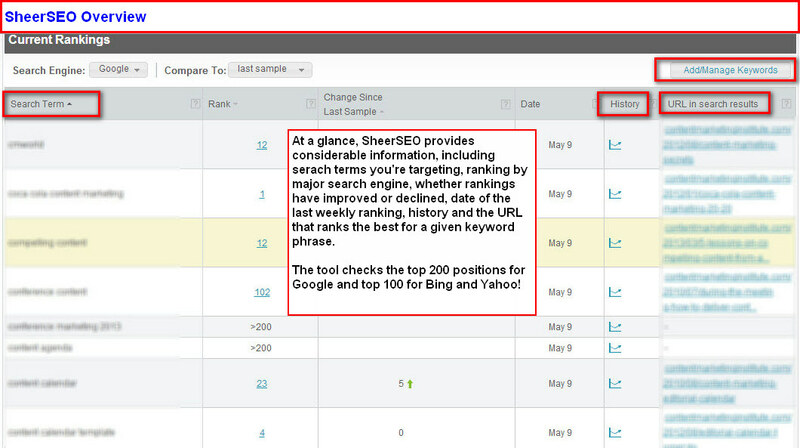 In particular with SheerSEO, I appreciate the fact that the tool includes a view of the top 200 rankings on Google. It’s nice to know whether a keyword is ranking No. 5 or No. 150. 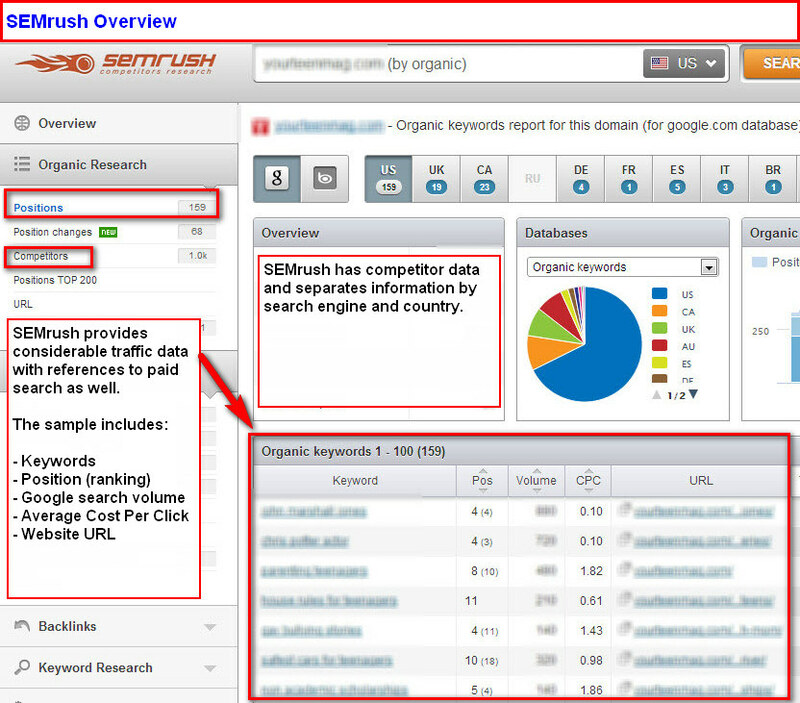 Though you don’t have the same level of control over your keywords that you do with other services, SEMrush does provide an incredible amount of information (including competitive research) based on the more than 90 million keywords that it monitors in its database. 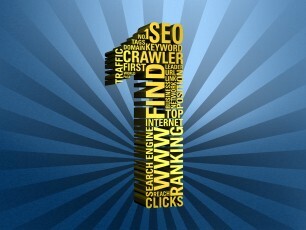 Depending on the popularity of your website, SEMrush will have a decent selection of the keywords that you care about. The rankings aren’t in real-time — they are based on a recent average, but this is just fine if you are looking to get a general sense, or want to compare those results to what you’re seeing elsewhere. If you are looking for some desktop apps that can give you a quick snapshot of your search performance, try checking your rankings using tools like the SEO SERP Workbench (Chrome extension) or Rank Checker from SEO Book. I use my iPhone more than you might think to spot-check rankings for my clients. Normally, I’ll tap into the office’s WiFi network, but if you disable that connection, you can also see results that aren’t tied to the business’ IP address. On some occasions, I’ll ask a friend or colleague to conduct a quick keyword search, so I can compare my results with theirs. To avoid being seen as a pest, I’ll rotate the list of people I send each request to, which also helps me include the perspectives of people from different locations. 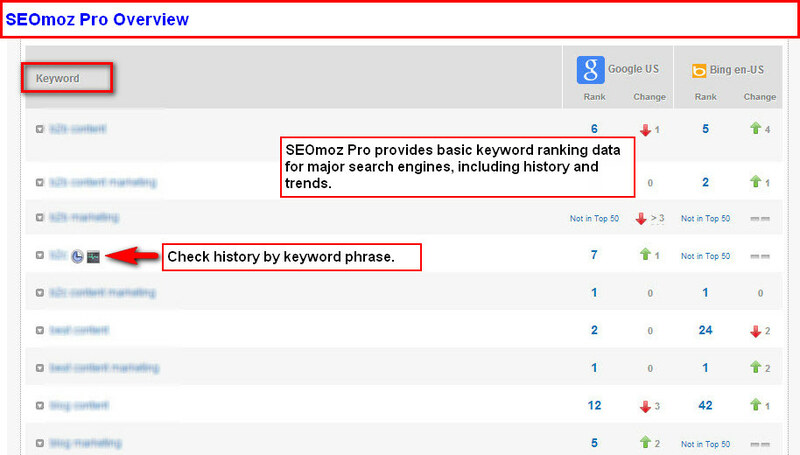 If you’re going to monitor your keyword rankings, I recommend that you keep your analyses to a minimum (once a month). Rankings can fluctuate frequently, and you often can’t make a content or source code change that affects rankings that quickly (it depends in part on when the page is set to be cached by search engines). Whether you look at ranking data daily, weekly or monthly, track conversion metrics as well (whether it’s for a B2B white paper download or B2C e-commerce). Improved search engine rankings may help drive relevant organic traffic that generates conversions for the best ROI. People rush to track rankings because it’s a simple way to see how efforts are progressing (at least they think it’s easy). But even a No. 1 ranking on Google or Bing will be absolutely meaningless if no one in your target audience is searching for that term. So make sure you are checking rankings for appropriate keyword phrases that support your overall SEO strategy. Be flexible with the keywords you choose to pursue over the long term (you may need to set aside some keywords and introduce new ones). Search volume and traffic can drop off during different times of the year. So even if your analysis tells you that your business is ranking highly for a particular keyword, seasonality is worth noting, and monitoring on an ongoing basis is a good idea. Some companies want to be No. 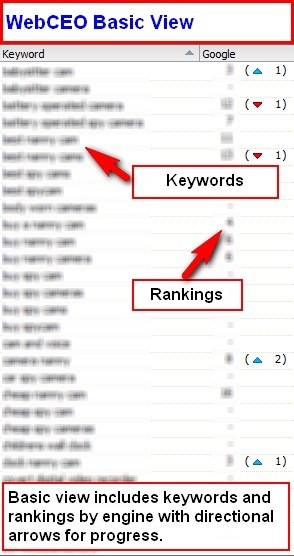 1 for a keyword phrase that internet searchers use only 40 times a month, while others go to the other extreme, insisting that they want their website to be among the top positions for a keyword phrase that people search for 100,000 times a month. 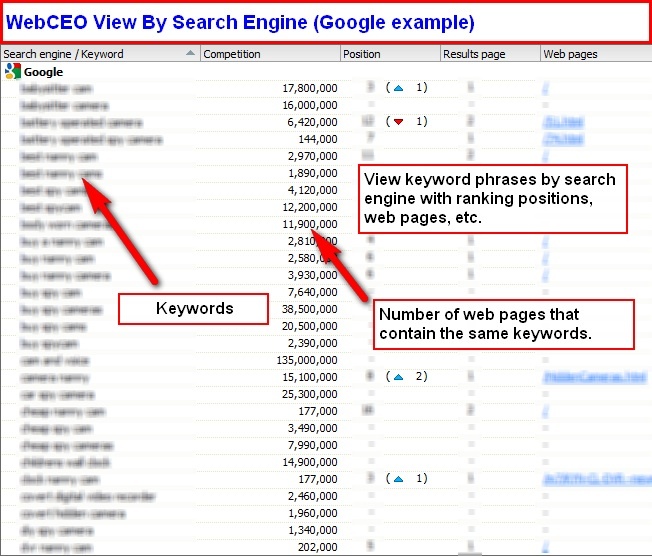 Regardless of how many (or how few) searches are being conducted around a given keyword, the most critical questions you need to ask are 1) whether it is relevant to your content marketing goals, and 2) whether the content is of sufficient quality and value to merit pulling off the top ranking. In addition, every content strategy must factor in the value of your current content, the content you are looking to develop in the future, and the potential both offer for increasing inbound links, leads, and engagement. If your website is weak in any of those areas, that top ranking you are hoping for may not be within your sights anytime soon. How do you keep a pulse on your keyword rankings, and how do the results fit into your content strategy? Let us know by sharing your experience in the comments. For more strategic insight on using SEO to optimize your content marketing efforts, join Mike Murray for his presentation at Content Marketing World 2013. Early-bird pricing is available for a limited time, so register today!